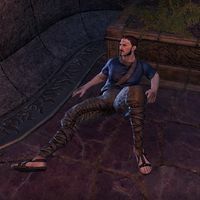 Gadayn Curio is an Imperial drunkard found in the Saint Olms Waistworks in Vivec City. He lies on the ground in a drunken stupor just east of the Tailors and Dyers Hall. Gadayn has no unique dialogue. This page was last modified on 8 July 2018, at 08:22.